A subscription to Break Down Way is a unique musical gift that will sure delight the musician in your life. 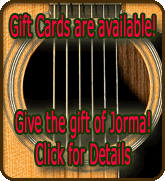 Fill in the form below and you will have a gift card that you can print out yourself and give to your friend, colleague or fellow musician. Your Gift Card will be emailed to you at your email address as a .PDF attachment within 3 days. The subscription rate is $29.99 per month - and includes access to all of our lessons PLUS the luxury of the student being able to email their chosen instructor with questions. Please Note! All purchases are charged up front, so if you order TWO Months of Access the fee today is $59.98.